Real estate price movement in the northern emirates has largely been at par with each other, according to real estate research firm Reidin. Sales prices in Sharjah and Ras Al Khaimah have increased by 1 per cent and 0.6 per cent respectively on a quarterly basis, while prices in Ajman have dropped by 4.9 per cent. In the rental segment, prices have declined by 3.8 per cent in Sharjah, 4.1 per cent in Ajman and 4.2 per cent in RAK. New residential housing units delivered in Dubai and Sharjah, coupled with tough macroeconomic conditions, among other factors, have put pressure on sales and rental prices in other housing markets in the UAE, according to Ali Siddiqui, research analyst at Reidin. “Price declines were seen throughout all asset classes and sectors in the first half of the year, however, prices have declined more in the luxury/high end segment, larger apartment units and the villas owing to the nature of investment of these asset classes,” says Siddiqui. In terms of the new supply, no major residential projects were delivered in the first half of the year, although Siddiqui said the first phase of Nasma Residence and Al Zahia Residence are expected to enter the market by the end of the year in Sharjah. The second-quarter market report by Asteco reveals a similar trend in the northern emirates, with apartment rents retreating by 2 per cent on average since the first quarter and 11 per cent over the year. High-end properties in Ajman, meanwhile, saw the highest annual decline of 13 per cent among the northern emirates, although the same unit types in RAK saw a less pronounced drop at 7 per cent. Rents for affordable housing units fell by 2 per cent in the second quarter and by 11 per cent year-on-year, according to Asteco. 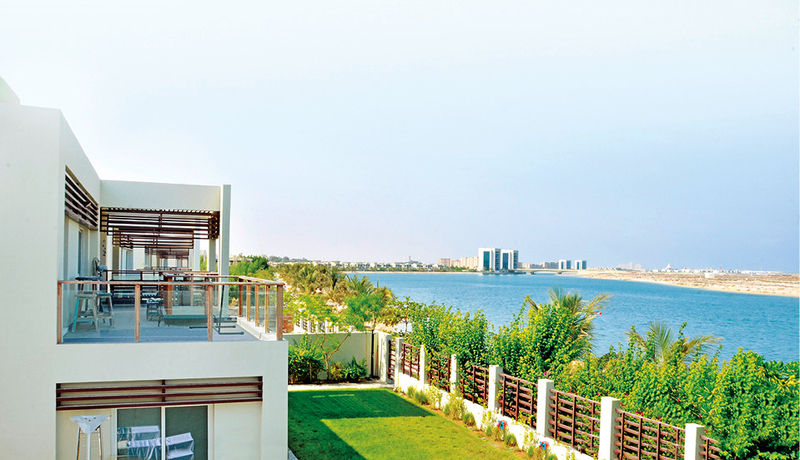 Studios to three-bedroom apartments in Sharjah and Umm Al Quwain reported a decline of 3 per cent and 2 per cent respectively over the last two quarters. Sharjah’s commercial sector also came under increasing pressure with office rents recording quarterly and annual reductions of 3 per cent and 14 per cent, respectively, according to Asteco. Given the muted demand, industry experts say the market will remain favourable to tenants and buyers throughout the year, with the delivery of residential supply in Dubai creating a direct impact on housing markets further up north. “Recovery rates in the northern emirates are directly impacted by the delivery of supply in Dubai as we expect a further pressure on apartment rental rates,” said John Stevens, managing director of Asteco. The key factors impacting and driving real estate investment in the northern emirates include “advancements in the legislative framework as well as infrastructure development”, Stevens said. “The launch of large-scale developments and master plans are also expected to stimulate investor and tourism growth in the northern emirates,” he added. Sharjah’s recent move to allow non-Arab nationals to purchase property on a 100-year renewable lease is also expected to increase the demand, Siddiqui said. With rents favouring tenants, analysts say a good number of residents are upgrading from small residences to larger apartments or villas. Siddiqui also pointed out that many people who had moved to Sharjah and other northern emirates in the past few years are now starting to return to Dubai as prices become more competitive.